A unisex full service salon. Alternative spa & art gallery. We specialize in High Definition makeup application using both airbrush and traditional formulas to meet the needs of each individual client. Our experienced team will ensure you look flawless on your special day, both in person and in photographs. Ember is a professionally trained makeup artist and cosmetologist, and when she isn’t on set, she is at the salon – offering skincare and waxing services. Bringing Your Best Face Forward ~ Makeup Services for Films, Commercials, Photography, Weddings, Competitions, Theatre, Special Events, Private Lessons, Group Workshops and Parties!! Your relaxation, your revitalization, your pampering! That is the mission of our courteous and professional therapists. We create an assortment of decadent cakes, hand-molded chocolates, candies and other delights for gourmet and gift shops, large fundraisers, small coffee shops, elaborate weddings, simple dinner parties and everything in between. A full line bakery/cafe. Wedding & specialty cakes. Breakfast pastries, lattes & lunch. Inside and outside dinning. Full courtyard outside. Available for parties, weddings and wedding receptions and company meetings. Wedding cake, specialty cake and decorated cookie shop. Everything is made fresh for each event and custom decorated. 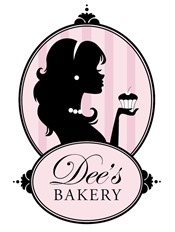 Service, quality, and pride are what make Cakes by Grace your only choice in Lake Tahoe. Voted best desserts by brides … You will remember Grace’s Cakes, long after your celebration is over. Full service catering company offering custom or a la carte menu options, full wedding packages and even our own on-site catering Loft above the Blue Angel Café on Ski Run Blvd. Cherry Bomb Catering a full service cater takes pride in catering to your desires, taste buds and event success! 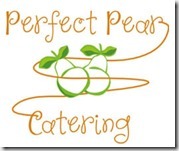 Locally owned and operated catering business! We strive to use local ingredients! We enjoy writing custom menus’ for our brides, because each wedding is unique! We offer full service catering, and will handle all the details for you! Roundabout Catering, Event Centre & Party Rentals – the area’s only all-in-one resource for every aspect of your event hosting needs. Lake Tahoe’s Best Value Full Service Wedding Planners. Big or small, we do it all. Over $30 million in renovations including all new rooms, Reno Hotel with Vegas Vibe, TAG approved. Hidden Valley Country Club’s true elegance comes from its long standing heritage as Reno’s premier choice for life’s celebrations, business functions and golf tournaments since 1956. 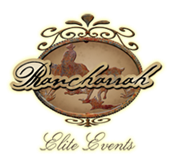 The perfect wedding begins with the perfect location and Rancharrah is truly the most unique wedding venue in Reno. 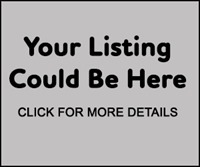 Located just ten minutes from downtown Reno and a short drive from Lake Tahoe and Carson City. Reno’s only Boutique Hotel Spa Casino . . .on the River! Awarded “Certificate of Excellence” by Trip Advisor. Making events special since 1988. I take a genuine interest in you and your guests- in my mind it is an honor to be participating in your big day and I take the responsibility seriously. Our Reno DJs work extremely well with clients, reception facilities and party vendors for your spectacular event. Our DJs and staff work hard to make your event perfect in every way. A Destination Management Company based in Lake Tahoe, Nevada. We design, plan, and manage destination weddings and events throughout Lake Tahoe, Northern California and Nevada. I am the wedding planner that works for YOU! I am there for ever detail, every meeting, and every budget. Alpine Event Services and tent rental….’The Event Specialists’. We provide everything from tent rental and event equipment rental to event consulting and event management. For over two decades Camelot Party Rentals has worked hard to become the most trusted event equipment supplier in Reno, Sparks, Lake Tahoe and Northern Nevada. Whether you’ve been planning your wedding since you were 10 years old or just started the planning process, I can absolutely take your vision from just a thought to reality. A unique floral company that provides flowers with an artistic touch. We can work with any budget and strive to bring your vision to reality. The definition of family is rapidly changing in America. Surratt Law Practice welcomes all families in need of legal protection. National Special Event Linen Rental and Sales Company serving the special event industry. Provides tablecloths, chair covers, runners, sashes and napkins made of the finest fabrics for rent and sale for weddings and events. Reno’s premier event decorating company specializing in balloons and balloon art. Decorating services include corporate and private themed room decor incorporating balloons, props, fabric, lighting and special effects.